Often when we're featuring new homes and working with clients on their vision for their new construction home, conversation starts with inspiration for the front of the house. 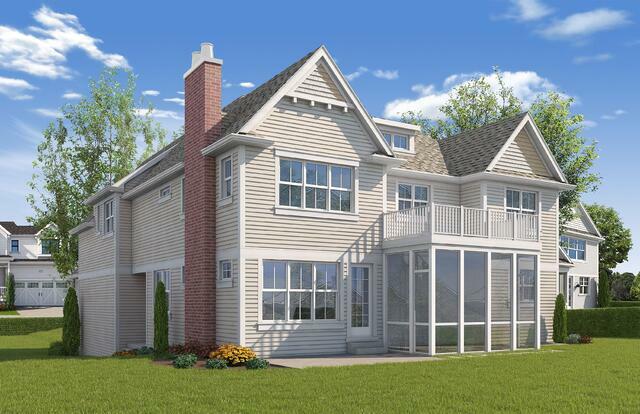 With this recently kicked-off custom home in Downers Grove's Randall Park neighborhood, conversations and planning started with the back of the house in mind. This clients' property is a 300 foot deep lot on beautiful Grand Ave and they understandably wanted to take full advantage of what their backyard would offer. Through the architectural and design planning stages, much of the focus was on how to maximize the views and space that this property already has - essentially playing to the lot's strengths. This is where the fun of a custom build truly begins. OAKLEY ON GRAND The resulting architectural home plans show off some features that will deliver on making our client's backyard a true escape even though it's a few short blocks from town. Elements such as the screened-in porch, balcony off of the master suite and easy access to the expansive backyard expand the useable space of this home. But the inside plans also take full advantage of backyard views, with the layout of the very open and connected kitchen/living room/breakfast area, as well as the inclusion of lots of windows to let the light and treetop views in. If you didn't know it, from the future kitchen window view you may think this house was set down on a quiet lot in the country - not built a short walk from the hustle and bustle of town. Even with so much of the focus on the rear elevation of the home, the view from the street is just as nice. Materials like stone, shake shingles and gable accents give the house a sophisticated feel. The entertainer's dream kitchen, complete with a uniquely placed, oversized wet bar, will feature cabinetry painted a soft gray. Yet another element that customizes this home, but keeps it looking timeless and elegant. And, as we're always reminded - we are building these homes for real families. So function is so high on this client's wish list and we're happy to deliver. This family is incorporating plenty of storage and organizational space with a large master closet and an oversized laundry room complete with a walk-in linen closet. A bonus room above the garage offers flexible space that will grow/adapt to this family's needs. 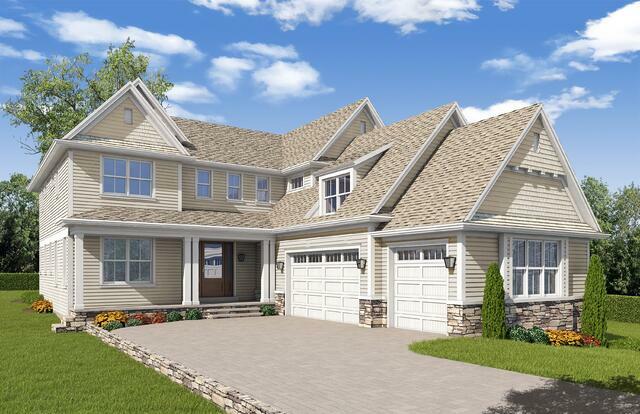 As a Downers Grove home builder, we're excited to bring our 4th Oakley home to Grand Ave in Summer 2018 - likely just in time for the hotly anticipated Grand Ave block party! And we're delighted to see another custom, new construction home shaping into a reflection of the family that will live there. Interested in learning about Oakley's design-build process? We'd love to tell you about it. From our in-house architectural and interior design services to our on-schedule and on-budget delivery of a luxury home, we're constantly working to ensure our clients love the process of building a home with Oakley as much as they love their new home.